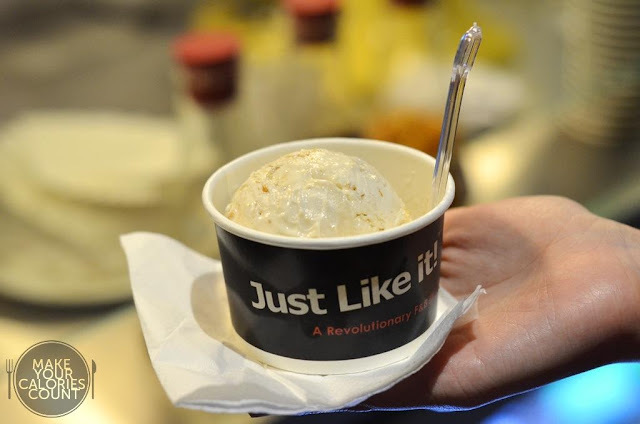 When it came to liquid nitrogen ice cream, 'Just like it!' was our fourth try, with our first in London at The Chin Chin Laboratorists , then Lab Made in Hong Kong, third in Singapore at 320 Degrees Below and now this. 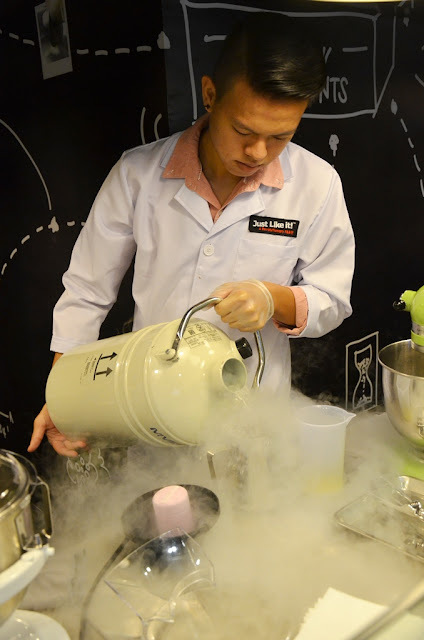 I was pretty surprised that 320 Degrees Below did not quite make a buzz in Singapore since they were the first to initiate the concept of liquid nitrogen ice cream but having tried it once, I kinda knew why and I reserve my comments. Moving forward, we were running errands in town and happened to drop by Ion, Orchard after dinner. Having recently read that there was a new ice cream parlour opening, it would be a crime for dessert lovers like us to give it a miss! I believe the laboratory setting and appealing combination of colours would draw passer-bys, but this theme is indifferent to that of The Chin Chin Laboratorists and Lab Made and having seen it for the third time, the 'wow-factor' just somewhat did not exist for us. We deliberated for a few moments since we just finished dinner and quite frankly, the staffs were not exactly approachable. Since we had our camera with us, we decided to give it a shot nonetheless. 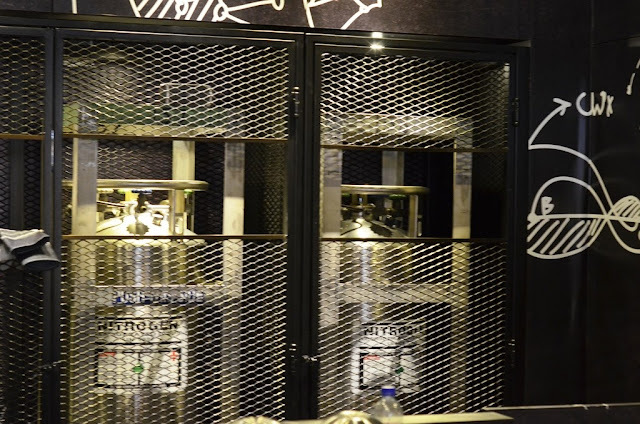 So...how is this liquid nitrogen ice cream being made? If you had not read through our two appended links to The Chin Chin Lab and Lab Made by now, let me run you through real quick. 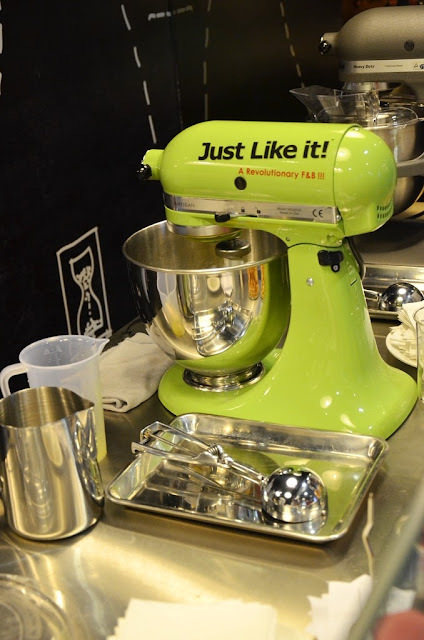 Essentially, you have your prepared solution stored chilled and you pour it into the blender. 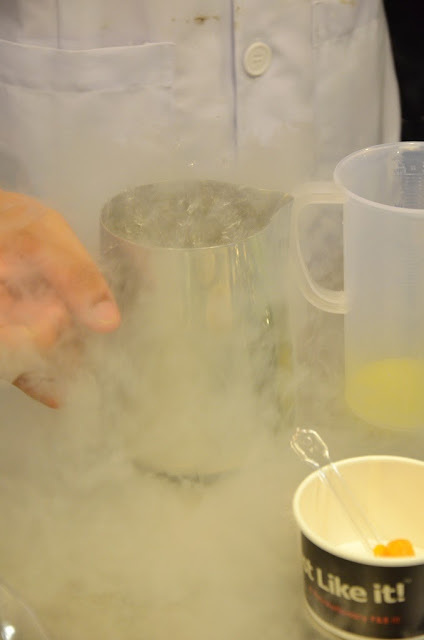 Then you release some of the compressed nitrogen gas and expose it to the solution, instantly transforming the solution into solid state by freezing it and there you go, 'freshly made' ice cream. Then here comes the compressed nitrogen gas! Watch the effervescence take place! You know you are almost there when they start scooping, just hang in there. There we go! Finally after some three minutes of a somewhat reminiscent Chemistry lesson, we were eventually furnished with our free up-sized cup of Mandarin Curacao ice cream. It was not on the menu but I spotted the bottle in one of the bottom-ranked shelves and requested if it was available. We had a free up-size and thought that was a really nice gesture! The texture was spot-on with its smoothness yet preserving the level of richness. We love anything that bites, in a pleasant fashion of course, with a tang and the mandarin orange element in this nailed it for me. The zest was there and the liquor was considerably strong. Please do not expect to get a cheap 'high' out of enjoying alcoholic ice cream though coupled with sugar high, it might do some considerable damage. I am just kidding, seriously. Anyway, the liquor content could be a touch too strong for those with a mild palate so do consider yourself warned. There were some bits of the mandarin orange fruit which I enjoyed but could do with a slightly more generous portion! 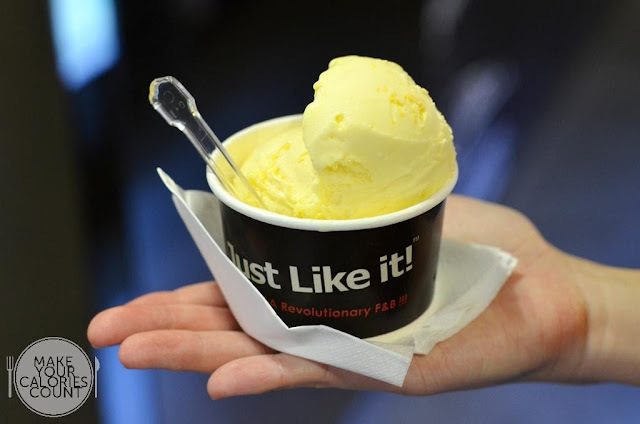 So we thought that we got smitten by the first take, let us return to try a second flavour! I was secretly hoping for another free up-size but hopes and wishes do not always come true so back to reality with a regular serving. This was one of the recommended flavours and indeed it pleased our palate well. Just as I was lamenting about the lack of texture after trying the Mandarin Curacao, I had it coming back at me like a boomerang! The flavours were rich and the taste reminded me fondly of Kinder Bueno (imagine that blended into ice cream) with cheese cracker bits to give that gritty texture so this won us over, completely. Flavour, taste, texture all checked. Try not to blow up Ion with Nitrogen, please. It is a takeaway booth and there are no seats for customers. While we had our ice cream 'created' before us and achieved the desired effect of drawing passer-bys' attention as many stopped to take a second look, just short of taking that extra step to try it. Having tried liquid nitrogen ice cream for the fourth time, I would say that this is comparable to Lab Made from, but just shy of the creations and innovations of The Chin Chin Lab. Could we possibly expect more interesting flavours to be introduced? It also did not have any toppings unlike the other two establishments and while it is not the most ethical to draw comparisons, this is after all not a new initiative. I tried to understand a little more from the gentleman serving me (not the one preparing the ice cream) but responses were mostly flat and non-engaging. I think it is imperative to understand that customer service forms a large part of the dining or in this case, takeaway experience. 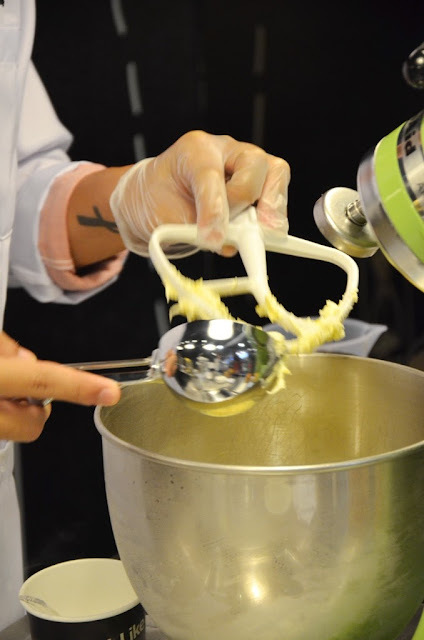 While your ice cream may taste great as a product, there is surely no lack of good home-grown ice cream parlours in Singapore with the likes of Daily Scoop, Island Creamery and Tom's Palette just to name a few, who can offer quality ice cream at affordable prices with a much more pleasant service. To give some credit, one of the two ladies who concurrently took our orders was slightly more approachable and at least bothered to thank us for our patronage. 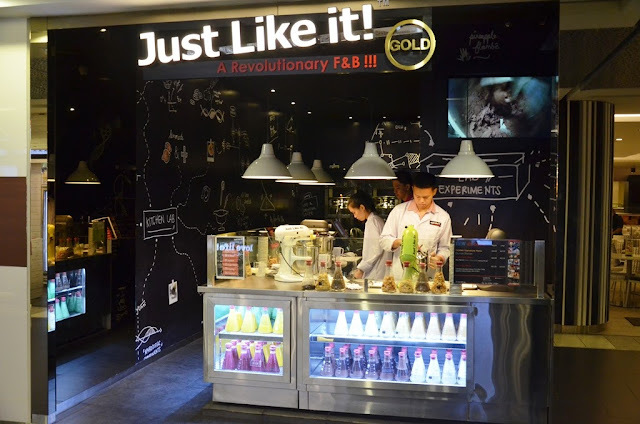 Overall, the ice cream was good and surely one of the better ones in Singapore but I am sure that with improved service, it would be a much better experience.